Apple has started sending out press invites for its next big event. This will take place on September 9 at Bill Graham Civic Auditorium in San Francisco, California, a venue with seating capacity for around 7,000 people, and one that the Cupertino company hasn't used before. 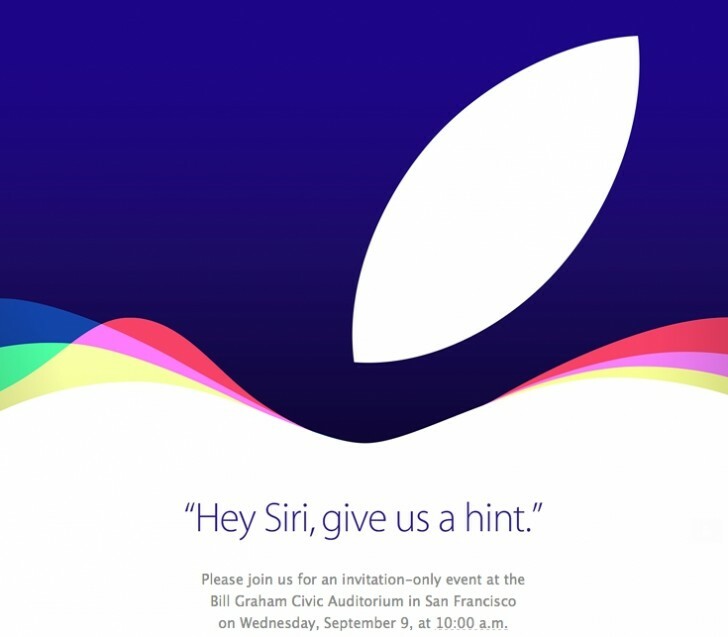 This means we may witness one of Apple's biggest launch events in its history. It's obviously expected to announce the new iPhone 6s and iPhone 6s Plus, These have been said to sport Force Touch tech inside their touchscreens, a higher-res camera than their predecessors, a new chipset, and more RAM. As always with "s" releases, expect the exterior to remain unchanged. Pre-orders for the new smartphones will start on September 11, two days after their unveiling, while sales should begin a week later than that, on September 18, for the first wave of markets. A second wave of availability should hit on September 25. All of this information has been leaked numerous times already, along with a possible September 8 or 9 announcement date. So now that this has been confirmed, there's no point in doubting the rest of the rumored timeline. There could be other new stuff in store for us too. A more affordable iPhone 6c has been in and out of the rumors for many months now, so it's still unclear whether it will ever become reality. On the other hand, Apple might also unveil new iPads, perhaps even the much-rumored iPad Pro. A revised Apple TV may be in the works too, though there's no telling if it's going to be ready in time for this event.